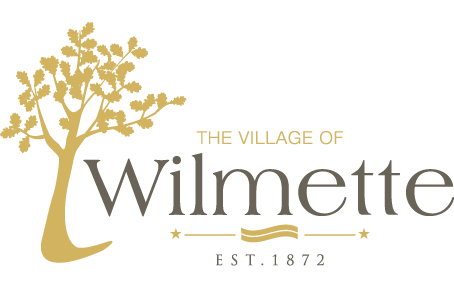 The Wilmette Historical Museum and the Wilmette Police Department will jointly host a family-friendly open house on Sunday, May 5, 2019, from 11 a.m. to 2 p.m. The two facilities are located a block apart on Ridge Road at 609 Ridge Road and 710 Ridge Road. This is a free event for the community. Visitors are invited to step inside the Museum’s historic 1896 building for a family-friendly game of “Museum Bingo” and self-guided tours of exhibits including an original Gross Point Village Hall jail cell. The research room will be open after 12:30 p.m. for families looking for information about the history of their house. Outside the Museum, families can enjoy a free cookie and plant cucumber seeds to take home while learning about Wilmette’s pickle history. Always a highlight, the Wilmette Community Band will be playing on the lawn from 12 to 1 p.m. Visitors to the Police Department will receive a tour of police facilities, see police vehicles and meet officers. Free hot dogs will be served again this year, sponsored by the Wilmette Optimist Club. Visitors should bring their own cameras for children’s “mug shots.” Special guests will include the US Coast Guard, a canine unit, and more. For more information, visit the Historical Museum’s website at www.wilmettehistory.org, or the Police Department’s website at www.wilmette.com. You can also call the Museum at 847-853-7666 or the Police Department at 847-256-1200.